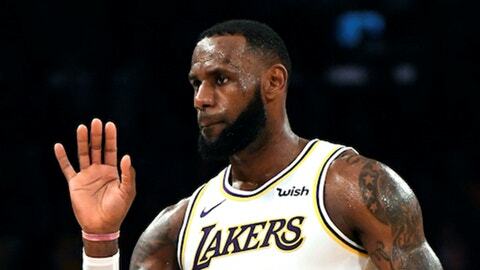 The Los Angeles Lakers will try to avoid losing three in a row for the first time since starting the season 0-3 when they host the Indiana Pacers on Thursday at Staples Center. Los Angeles (11-9) had won nine of 11 before losing Sunday to the visiting Orlando Magic for the second time this season. The Lakers then went on the road and lost 117-85 to the Denver Nuggets on Tuesday, their most lopsided loss to the Nuggets in team history. The Pacers (13-8) will be aiming for their third three-game winning streak of the season. They opened their four-game West Coast trip with wins on back-to-back nights against the Utah Jazz (121-88) and Phoenix Suns (109-104) on Monday and Tuesday. The win against Utah was Indiana’s largest margin of victory for a road game in 22 years. The Lakers could be thin at point guard after Lonzo Ball sprained his ankle during the loss to the Nuggets and did not finish the game. Los Angeles is already without point guard Rajon Rondo, who sustained a broken hand on Nov. 15 and is about two weeks away from returning. Ball told reporters after the loss in Denver that he planned to play Thursday, but Lakers coach Luke Walton said they’re prepared to face the Pacers without a natural point guard. “We have other guys that we trust, Brandon (Ingram), LeBron (James), that can play that for us, but they do other things for us too, so it’s not ideal,” Walton said. Los Angeles has already struggled to defend the pick-and-roll against versatile centers and experienced point guards. Indiana has both in center Myles Turner and point guard Darren Collison, who played for UCLA. Orlando center Nikola Vucevic had his two highest-scoring games of the season against the Lakers, totaling 36 points and 13 rebounds in a 130-117 win in Orlando on Nov. 17, and 31 points and 15 rebounds in the 108-104 win on Sunday. Magic point guard D.J. Augustin, who averages 10.3 points and 5.4 assists, had a season-high 22 points and seven assists in the first meeting against the Lakers, and 12 points and nine assists in the second. Lakers reserve shooting guard Lance Stephenson had his best run of the season while Ingram was suspended for four games last month for his involvement in an on-court fight with the Houston Rockets, but Stephenson has seen his minutes dwindle this month. Stephenson should be motivated to do well against the Pacers, who drafted Stephenson in the second round in 2010. They kept Stephenson for four seasons before he turned down a five-year, $44 million contract and ended up signing a three-year, $27 million deal with the Charlotte Hornets in July 2014. Stephenson would have been on the final year of his contract had he re-signed with Indiana, making about $8.8 million this season. Instead, he is on a one-year, $4.5 million deal with Los Angeles, and he is probably not in the Lakers’ plans after this season.